When we look at our faces in the mirror, we are seeing mostly dead skin cells. Of course this is normal, but what happens when those skin cells build up? These surface cells can cause all types of problems: flakiness, dryness, blemishes, clogged pores, and even hyperpigmentation. To avoid these problems, exfoliation is an integral part of any skincare routine. One way to deeply exfoliate the skin is with an organic microdermabraison. Microdermabrasion is a skincare treatment that uses crystals to buff away the top layer of extra cells, revealing the smooth, rejuvenated skin beneath. By removing dull, lifeless cells, it helps improve the appearance of fine lines, wrinkles, marks, age spots, acne scars, stretch, and hyperpigmentation. It also increases the effectiveness of your skincare products by allowing them to penetrate deeper into the skin. But yes, there’s a catch: most microdermabrasion services are done aluminum oxide crystals, a harsh irritant that can make your skin red and irritated. So what makes ours different? Our organic microdermabrasion system uses organic sodium bicarbonate to abrade the skin. The benefits of using all-natural crystals include fewer side effects, both during and after the treatment, as well as being anti-fungal and anti-bacterial. It’s also safe to use around the eye and lip areas, where you might need it most. Microdermabrasion can be done as a standalone treatment, or included in one of our fabulous facials such as our Non-Surgical Facelift and Organic Microdermabrasion Facial. You’ll notice the different instantly – brighter, radiant skin, the natural way! Ready to schedule a treatment? 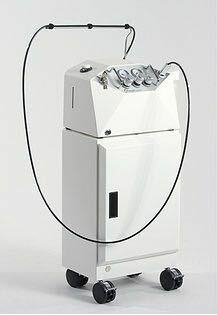 Come and experience the safest microdermabrasion in Richmond, Va! Going green….natural living….you are what you eat….eat organic-eat local. All of these mantras sound great, and make great bumper stickers and t-shirts, but they never really reverberated with me until I opened up an organic spa. Now these statements do not merely mean buying organic strawberries, they play a much bigger role in my life, both as a business model and as a method of living. The term organic is such a buzz word, and it encompasses so many topics and aspects, that quite honestly, it can be overwhelming. For me, an organic lifestyle has to come naturally and develop ‘organically’. Personally, the journey for me started as a child. Born in a small German village outside of Bavaria, I grew up organic without even realizing it. My Opa would take me out into the forest to pick mushrooms, and my Oma would always be in the kitchen blending herbs, flowers, and tonics. It was common to walk into the house and smell beautiful aromas like Melissa and lavender. My Mom, a licensed Naturopath, instilled a love for the earth and passion for healing early on as well. Little did I realize this was the start of my passion for organic living! As an adult I became a licensed Massage Therapist, knowing that one day I would open my own practice, which ultimately led to opening Richmond’s only totally organic spa. It was only natural that I carry those memories of Germany with me. In the early stages of planning I knew that if I were to open a spa, I couldn’t just offer organic products as well as traditional products, so I began designing my spa to fit what I envisioned. That is the key to me. Find what organic means to you, and incorporate it into your life. As a practical example, there is a ‘dirty dozen’ list of fruits and vegetables that floats around, helping you to understand what produce really should be organic and what you can get away with. For that to make sense you need to understand why, or else it can be confusing and annoying trying to figure out what produce must be organic. Some produce that is grown indigenously does not require pesticides because the natural environment has built up natural defenses around that plant, protecting it. On the flip side, you take a strawberry plant and force it to grow in an area it wouldn’t naturally grow, and the environment around it is not prepared to protect that plant, so insects and disease have an open window to wreak havoc. Similar to the different levels of being a vegetarian, there are different degrees to being organic. You may know people that eat organic fruits and vegetables, then go get fast food on the weekends, and there are people that will not eat anything unless it is organic. There are people that try to eliminate chemicals and carcinogenic materials in their water bottles and kitchen items, and there are people that will only buy organic cotton and wool clothing. Making the decision to move your life in an organic direction takes work, and the first thing you need to do is prioritize where you want to make changes, then implement them accordingly. As a spa owner, my first priority after eating organic is using organic skincare. After all, your skin is your body’s largest organ, so what you put on it plays a major role in your body’s health. As a simple example, look at the ingredients in your favorite perfume or cologne. Surprise, there are no ingredients listed! In many independent studies, it has been found that over 85% of the ingredients in perfume are potentially toxic or carcinogenic. At the spa, we host essential oil workshops as well as skincare workshops. Ingredients in major skincare contain such ingredients as parabens, phthalates, petroleum, and hydroquinone (which has finally been banned). These toxic ingredients have significant links to cancer, stroke, are known endocrine disruptors, and wreak havoc on your body. You have to prioritize what is important to you and your health, and then begin to make those changes. That said, you don’t have to jump all the way to replacing your medicine cabinet and makeup counter, but you can make little steps in the right direction. When I first made the jump from Massage Therapist to Spa Owner, I spent countless hours researching products, equipment, and everything that is needed to be an organic spa. I even looked at what I would use to properly do the laundry, because I did not want the towels that we use for facials to smell like bleach. As I mentioned earlier, many major skincare products have potentially dangerous chemicals. But understanding what they are, why they could be dangerous, and what an alternative is takes research. Years ago, the sunscreen market went haywire, and companies were racing to bring us higher and higher SPF. Consumers, logical that they are, came to expect that SPF 80 is better than SPF 15. So why would anyone buy an SPF 30? Unfortunately the SPF race was almost entirely a marketing ploy, as anything over a 32 is a waste. Industry experts generally recommend 30-32, and do not support going higher. Understanding what the number means takes research. Crash diets and fad diets…We have all done one, and we have all probably had the same results. Some immediate weight loss, but you are miserable doing it, and like a tea pot, when you reach a boiling point, you explode and consume everything within reach. The same can be true for other fads such as “going natural” or “going organic”. I’m sure you have seen more and more commercials or products out in the market place that claim they are organic or natural, but be aware, many times there are just a few ingredients that are natural or one or two ingredients are made with organic ingredients. This still leaves many chemical and unnatural ingredients in the products you use or foods you eat. So do your research and dig in and make sure you are really getting what you are looking for in the products you buy and consume. This takes time and it doesn’t have to be overwhelming. Start with something that is important to you. If it is your food, then start there. A good rule of thumb is if you can’t pronounce the ingredients than you probably shouldn’t consume or use it! If you are starting to read your labels on your skincare and feel overwhelmed, we can help you! We have some amazing Master Estheticians who would love to go over your products with you and let you know what is and isn’t harmful for your skin. 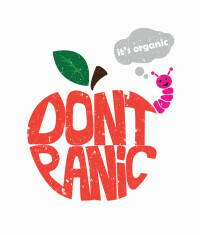 Going organic should not be considered a fad, instead a lifestyle change. At the spa, after doing my research and finding the products and equipment that I was happy with, I instantly became proud of my spa, and couldn’t wait to share it with my clients. When I create a new service, or highlight a new ingredient line, I am super excited to share it with everyone, and my clients are equally enthusiastic. Every day I meet new clients at the spa from all over Richmond, VA that thank me for introducing them to a cleaner way to take care of their skin, and that is the real enjoyment. Like many people you want to take care of your skin and look your best, but there are so many skincare choices, how do you decide what your skin needs, and where to go? Scents of Serenity Organic Spa is Richmond Virginia’s only organic spa, and proudly features Eminence Organic Skin Care. Eminence is known world-wide for their amazing skincare line, being recognized by both spa professionals and their customers as being the #1 best skincare line available. Their natural alternatives to traditional skin products, and their eco-responsibility make them even more appealing. Your skin, especially your face, is your body’s first line of defense against environmental toxins and stresses, such as the suns’ rays and harsh wind. Because of these stresses, your face sustains the most damage on a daily basis. Over time that repeated damage can cause scarring, loss of elasticity, and lead to wrinkles. Microdermabrasion is a great non-invasive treatment that is not only safer than cosmetic surgery, but much more economical. Many people nickname microdermabrasion the ‘lunchtime facial’ because they can have the service performed quickly and effortlessly. © scents of serenity 2019.